B.T. Baking is a small company right here in Haverford, PA producing some of the richest, gooiest, most decadently awesome organic brownies that you’ll ever try. Owner Todd Kelly is originally from Richmond, VA, and more recently Washington DC, where he worked a 9-to-5 but spent his free time baking brownies from scratch. Kelly started selling the goodies at farmer’s markets and soon had what he calls an “awakening” — that he needed to quit working for the man and start selling brownies full-time. Kelly and his wife had some family in the Philly area and felt it was a better market than DC/VA, so they moved up here are started baking. Kelly told me that although he isn’t originally from the Philly area, he feels at home here now because of all the support he’s received. Philly people may be tough at first, but once you’re one of us, we’re also intensely loyal. And we have a great food scene! The flagship B.T. offering is the chocolate brownie (which also serves as the base for the other flavors). This is, quite simply, one of the finest brownies we’ve ever tasted; as shown in the photo above, the top’s crackly exterior quickly gives way to an insanely moist, fudgy interior packed with complex and lingering flavor. It is a chocolate taste explosion! For B.T.’s peanut butter brownie, Kelly snakes a ribbon of organic PB through the chocolate brownie. Personally, I found that the intensity of the peanut flavor actually took away from the fudgy chocolate bliss — so although this is quite good, it isn’t the B.T. offering I’d reach for first. Kelly even admitted to me that he too – as an eater not a baker – felt the chocolate brownie is so simple and amazing that it doesn’t really need the PB addition. The many PB & Chocolate junkies out there disagree, however, so this version is quite popular. The cookie brownie, on the other hand — which contains a thin layer of chocolate chip cookie on top of the chocolate brownie — is our pick for the the standout choice. Though it isn’t a unique idea, the balance that Kelly finds here is astonishing. When taking a bite, a momentary wisp of cookie floats across the taste buds, then quickly washes away with the lusciousness of the chocolate brownie. Alongside a tall, cold glass of milk, this is about as close as you can get to dessert perfection. When asked the secret to this amazing flavor, Kelly admits that his recipes are quite simple, but that he takes care to use extremely high-quality, unprocessed, organic ingredients. The difference between the organic flour he uses and a generic supermarket white flour may not be that noticeable, he says, but when you apply that small difference across each ingredient (even though there are only 6-7 total! ), it does show. One ingredient choice that’s especially interesting is the use of evaporated cane juice in place of sugar. 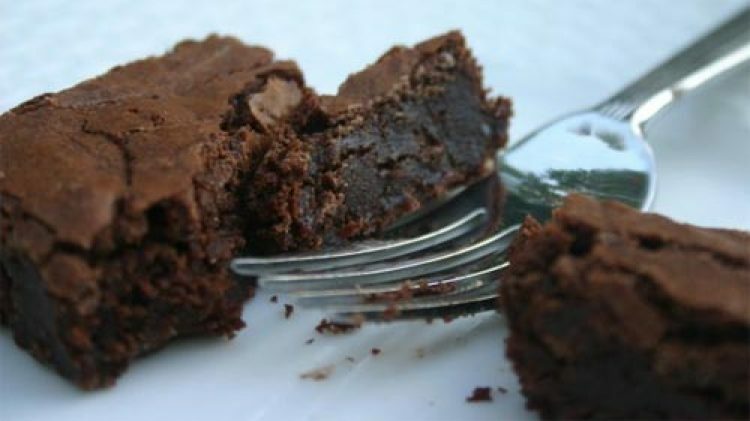 It’s less processed, so it is darker and contains more nutrients than table sugar (though it has the same amount of calories), and perhaps helps keep the brownies so moist. These outstanding brownies can be ordered online at http://btbaking.com and picked up at several local stores. In the ‘burbs, look for them at Burlap & Bean in Newtown Square, The Cooper Market in Bala, and the Swarthmore Food Co-op. More locations can be found here.